Meet your IoT networking needs without sacrificing the availability of existing infrastructure. Our high-availability technology facilitates network-wide resilience as you scale your network endpoints and applications, as well as the geographically-dispersed networking devices required to support them. Work for Cisco Industrial Switching? Learning about Cisco Industrial Switching? "Cisco Switches are pretty good"
A little difficult to configure at the beginning, you really need to be a CCNA or CCNP to know what you're doing. Is not easy to configure, if you're looking for a simple switch, this is not for you, BUT, is really good equipment that you can totally trust, there's no need to get anything else besides Cisco after you configure it. It worth the time spent in configuring this switches. Fluent network communication and really good network speed, no packet loss, and really good speed. What LAN Switches solution do you use? Welcome to the official Huawei Twitter account. Huawei is a leading global provider of ICT infrastructure and smart devices. Control4's Pakedge networking solutions feature the highest-quality products all designed for the unique demands of your connected home. * We monitor all Cisco Industrial Switching reviews to prevent fraudulent reviews and keep review quality high. We do not post reviews by company employees or direct competitors. Validated reviews require the user to submit a screenshot of the product containing their user ID, in order to verify a user is an actual user of the product. Hi there! 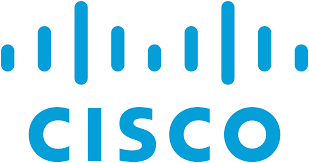 Are you looking to implement a solution like Cisco Industrial Switching?